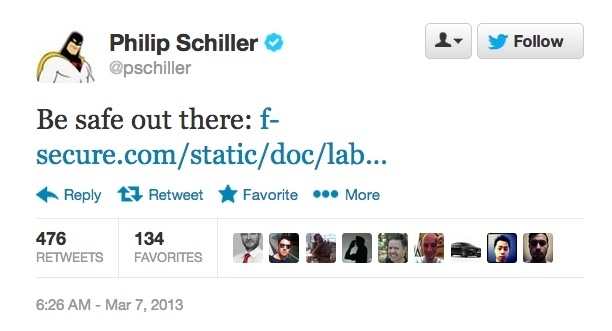 Phil Schiller takes jab at Android on Twitter | Android Blast! Yes, Apple's closed platform is less susceptible to malware and that is a selling point. Apple fanboys like to make people think that Android is completely insecure which is not true.